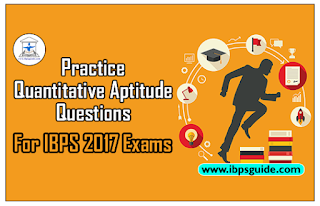 Dear Readers, Important Practice Aptitude Questions for IBPS Exams 2017 was given here with Solutions. 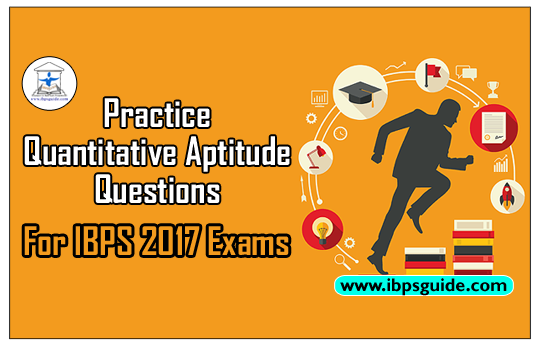 Aspirants those who are preparing for the Bank Examination and other Competitive Examination can use this material. 1.11.25% of 135 + 8.72% of 463 = ? 2. 4830/ √2314 × 22.678 = ? 3. 26.89 × 168.98 + 5317 = ? 4. 1527 × 0.3 + 38% of 380 + 49 × 0.490 = ? 5. 3 2/7 + 6 1/7 - 2 1/7 + 13 2/3 = ? 6. 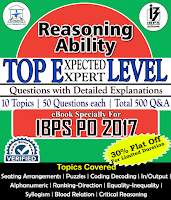 (4874 + 5995 + 3329) ÷ (712 + 510 + 325) = ? 7. 63.5% of 8924.19 + 22% of 5324.42 = ? 9. 134% of 3894 + 38.94% of 134 = ? 10. 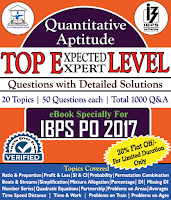 1.65% of 8471 – 0.61% of 9326 = ?